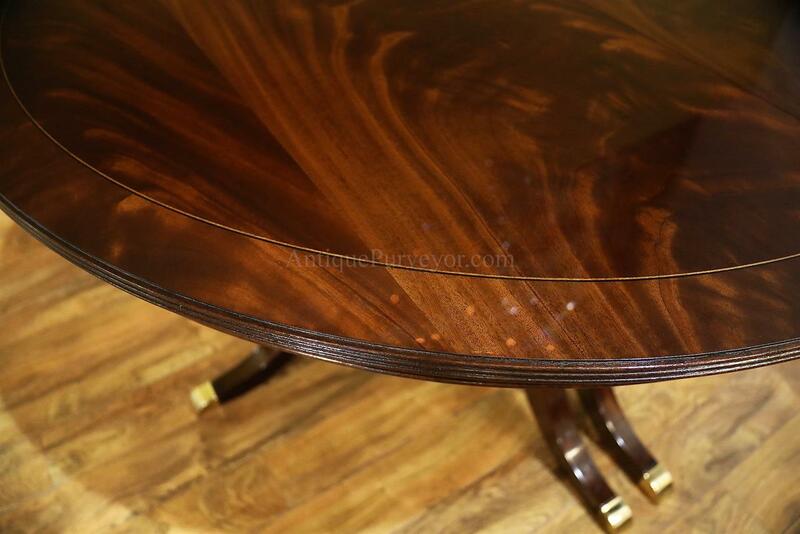 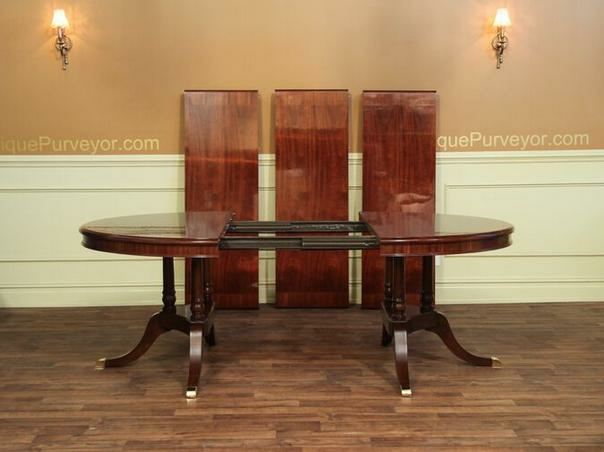 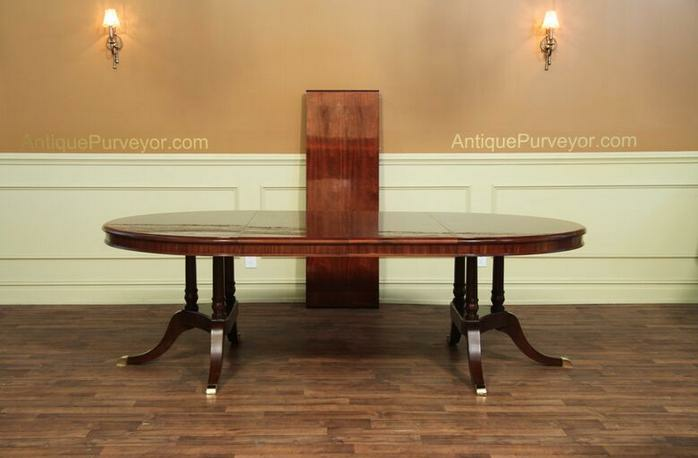 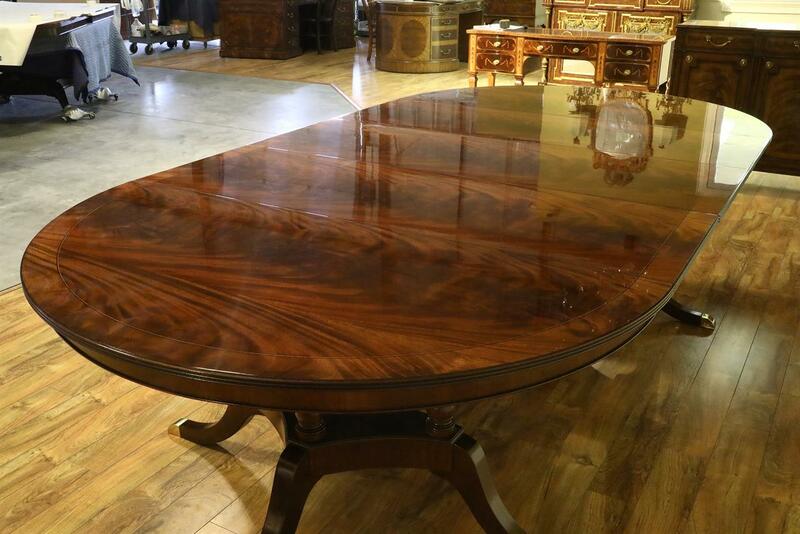 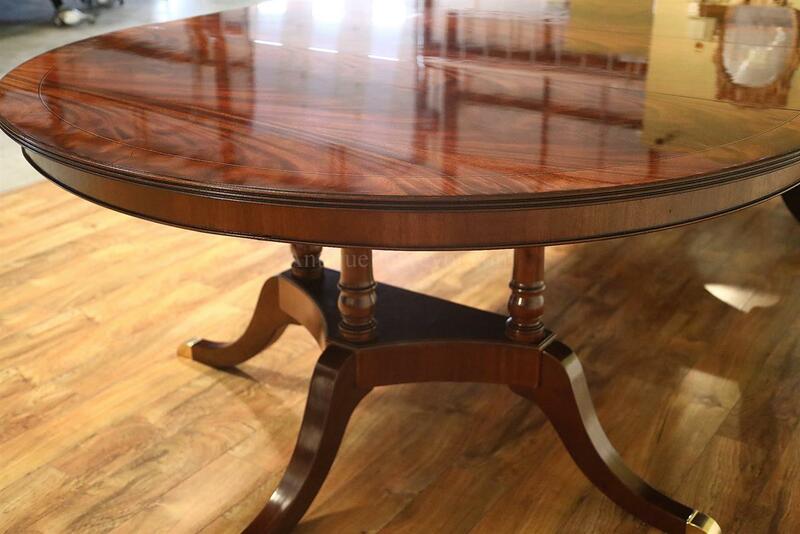 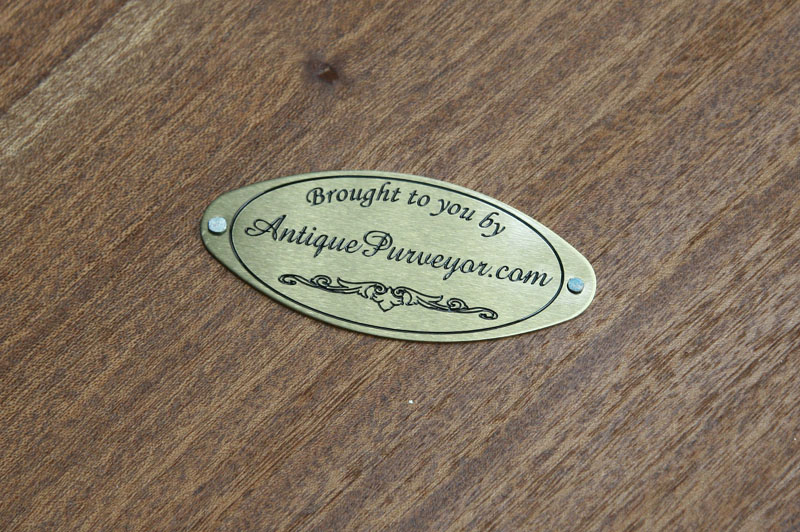 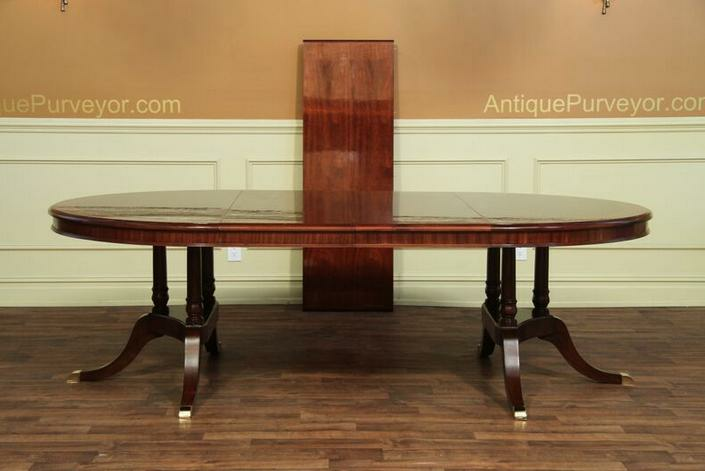 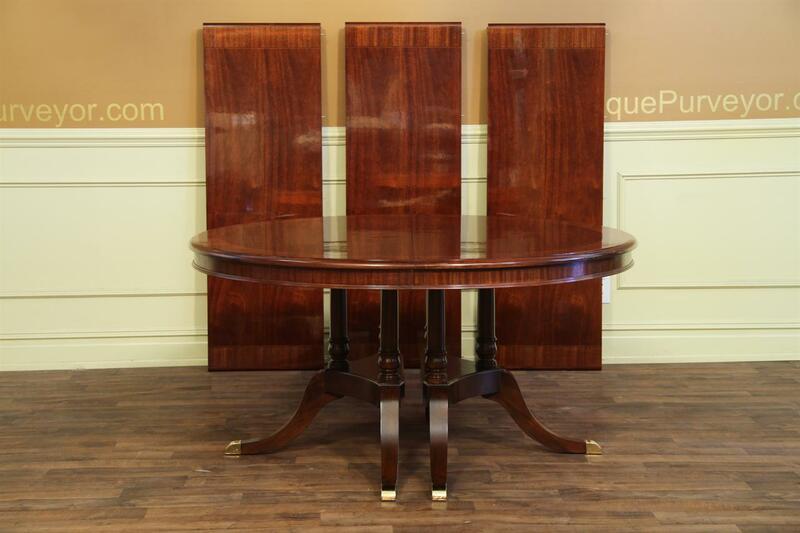 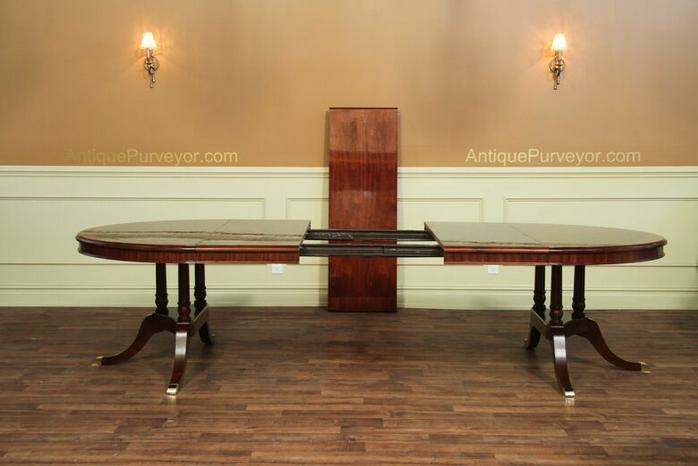 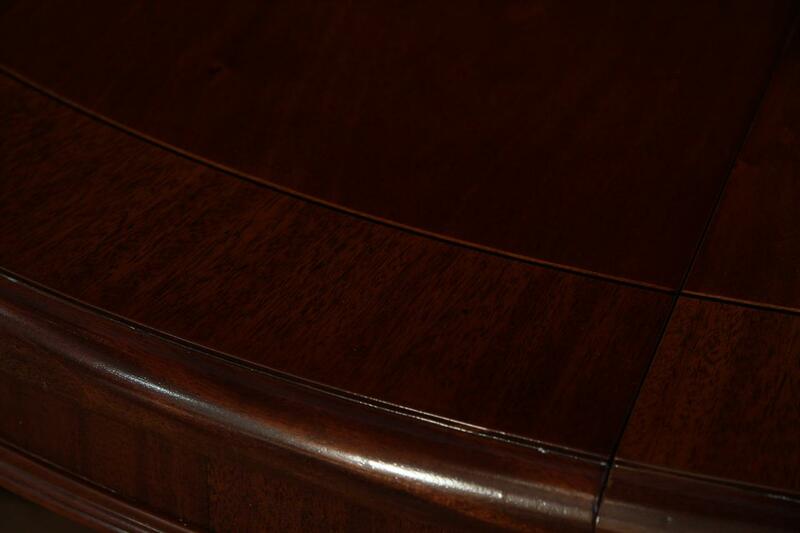 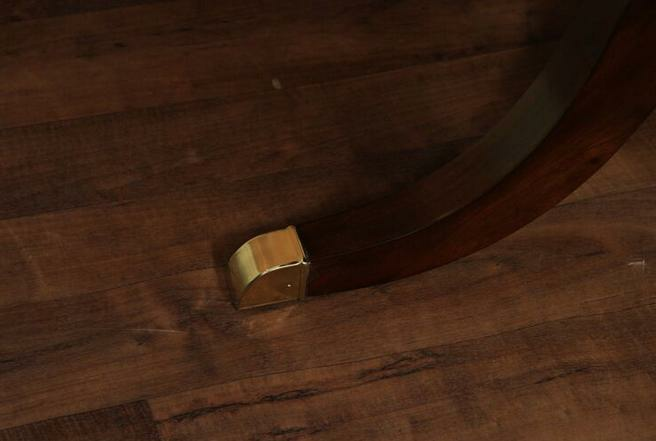 High end mahogany table that expands from round to oval and seats 12. 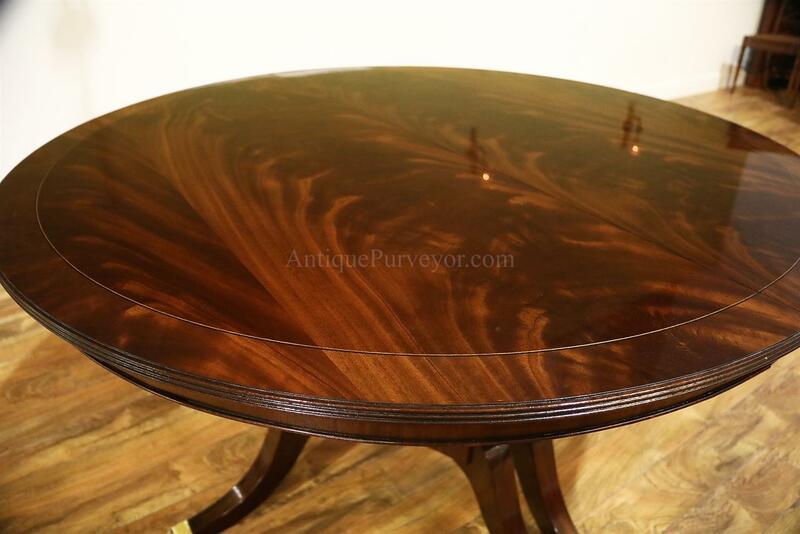 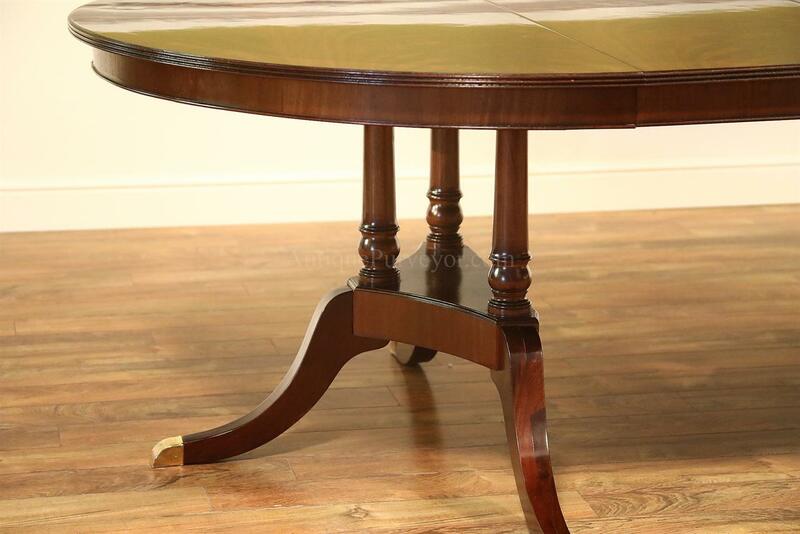 Description: 60 inch round American made flame mahogany dining table with leaves. 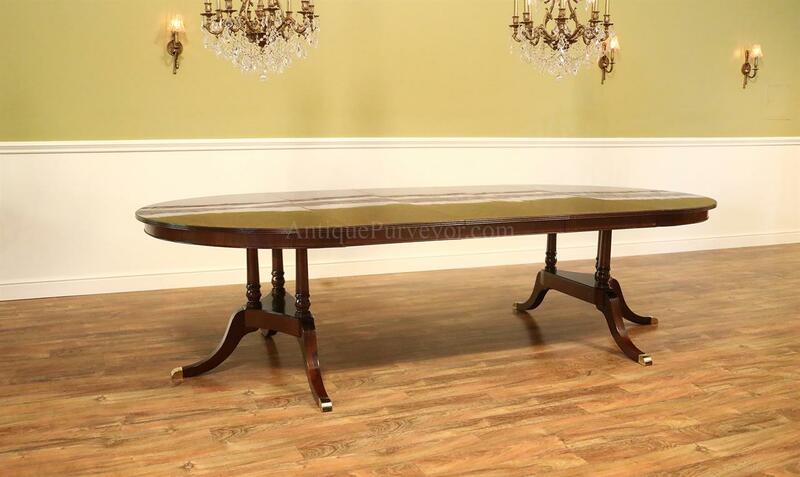 This table can expand to 120 inches long with 3 leaves. 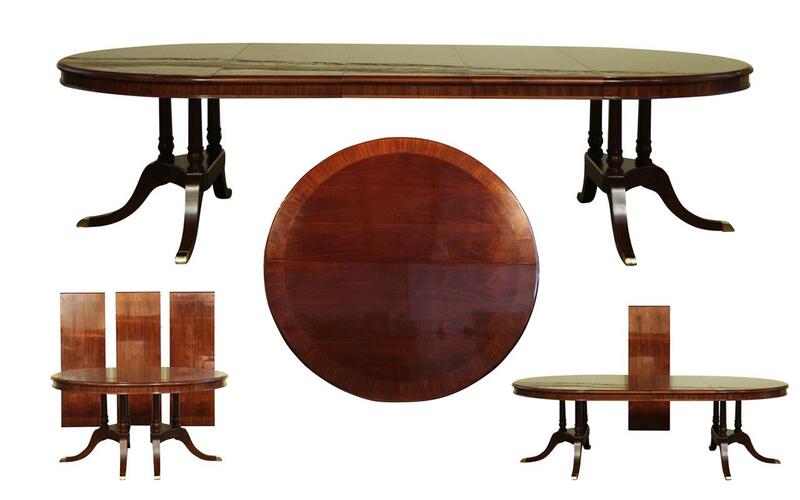 This table will comfortably sit 5 or 6 people when closed and 12 people when fully expanded. 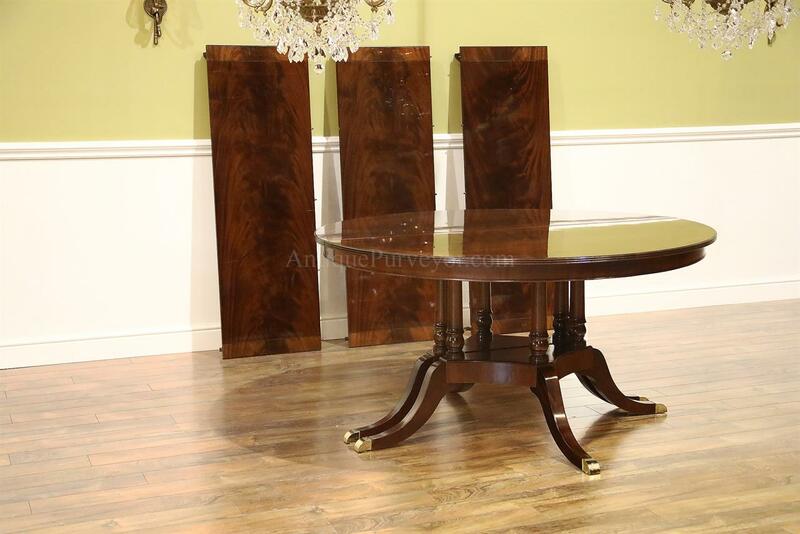 It is a Duncan Phyfe style dining table with solid mahogany pedestals.It is an American made table with an American finish and very good quality. 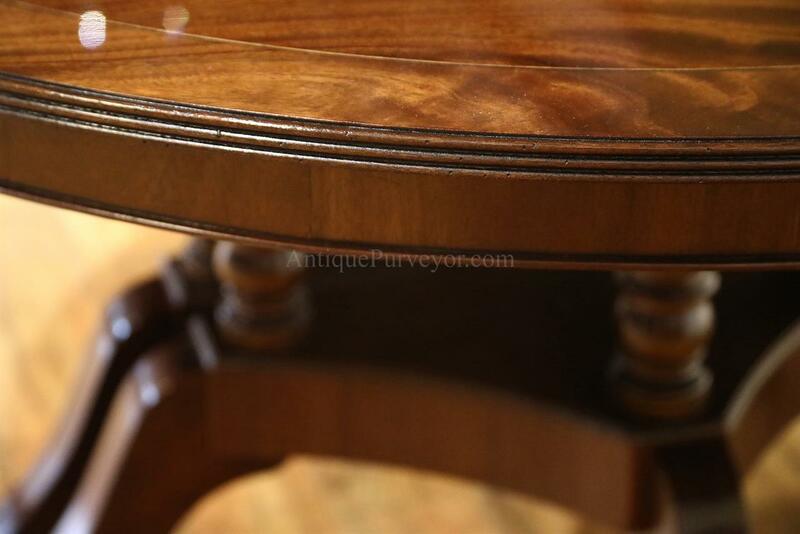 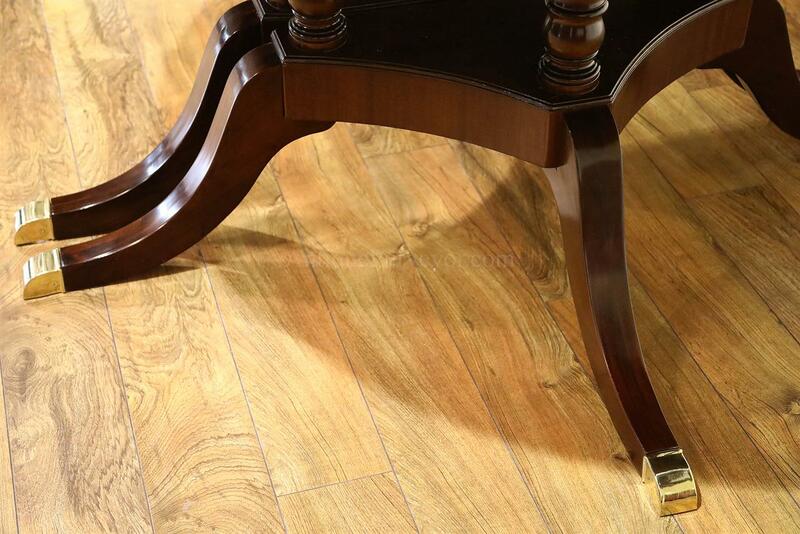 The finish is crystal clear and flat, a very sharply finished American masterpiece.